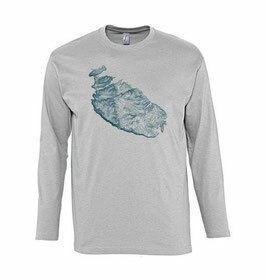 Unleash the geoscience geek in you with this peak-performing graphic tee. Earth science meets modern design, and suddenly everything makes sense, as your wanderlust and love of style align. This graphic representation of Malta is topographically correct and will inspire you to reach new peaks.